Stonebrook! Come check out our New Construction home at Stonebrook! Quality crafted homes on estate size lots. 5 bedrooms + Bonus/, 3 baths, and large 3 car garage. 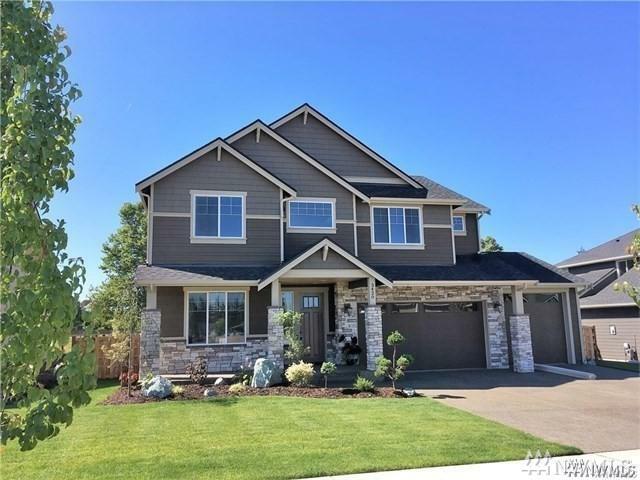 This home includes beautiful a upgraded millwork pkg, generous use of tile through out, stainless appliances & gorgeous granite countertops throughout. The exterior is highly detailed including a beautiful outdoor living environment w/ built in stone faced gas fireplace great for entertaining! Fully fenced and landscaped!